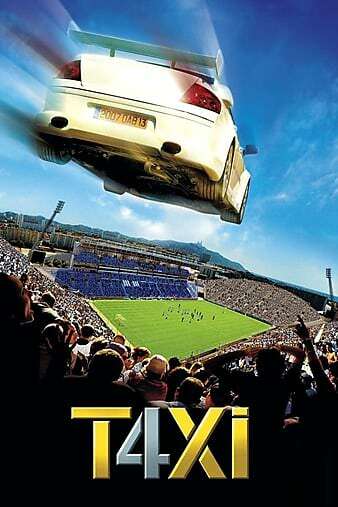 Taxi 4 is a 2007 French comedy film directed by Gérard Krawczyk and the fourth installment of the Taxi series. As with all the other films in the franchise Gallic Taxi, Samy Naceri plays taxi driver “Daniel Morales”, this time in a Peugeot 407, unlike the 406 in the previous films. Frédéric Diefenthal is “Émilien Coutant-Kerbalec”, whilst Jean-Christophe Bouvet reprises his role as “General Bertineau” yet again. A Belgian criminal, wanted all over Europe for his crimes, is in the custody of the Police Department of Marseille to be watched for a few hours before transfer to a prison in Congo. Unfortunately Émilien (Frédéric Diefenthal) is tricked by the villain and convinced to let the prisoner go.